Integrating immigrants: How well are Canadian schools doing? Can the current good results continue? From Europeans arriving in the U.S. Midwest and Canadian Prairies in the late 19th century to (primarily) Asians arriving in Canadian cities in the late 20th century, the key to intergenerational integration of immigrants has been a high-quality education system, leading to immigrant employment levels similar to those for nonimmigrants. The first rung on the education ladder is high school completion. Nine of ten young Canadian adults aged 20–24 have at least a high school certificate. However, this is a low rung. To have a good chance at a job yielding a middle-class income usually requires a trades certificate, college diploma or university degree. Nearly seven of ten Canadians aged 25–34 have reached one of these rungs. If we set aside the shameful fate of Aboriginal students, the Canadian K–12 school system overall is not faltering – among either native-born or immigrant children. But there is no guarantee that its present performance will persist. While overall, immigrant students fare as well as native-born students or slightly better, immigrant education poses two potential problems. Within some ethnic communities, high school completion rates are mediocre, especially for those who arrived after 2000. Second, in the long term the prominence in Toronto and Vancouver of “ethnic enclaves” – the term the geographer Daniel Hiebert employs for census tracts in which visible minorities comprise over 70 per cent of the population1 – may generate difficult-to-manage education dynamics. Some argue against. The correlation between student education outcomes and family ethnic origin may be high, but what appears as the impact of ethnicity should be understood as the impact of other features of the student’s family, its socioeconomic condition or school quality. Furthermore, to identify ethnic differences in education outcomes potentially aggravates social divisions based on ethnic differences, thereby increasing attitudes of marginalization among groups with weak school outcomes and ethnic superiority among those with strong outcomes. France is a country that officially subscribes to these arguments and gathers no official data on ethnicity, including the role of ethnicity in school outcomes. 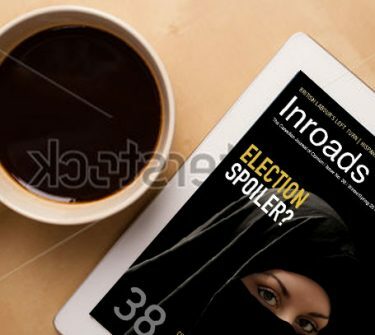 Overall, however, the case for gathering, publishing and analyzing ethnic-based data is stronger than that against. While ethnic origin is never the sole factor in explaining children’s education outcomes, in most rigorous quantitative studies, after accounting for independent explanatory factors, family ethnic origin still appears as a statistically significant and often important determinant of those outcomes. The channels through which ethnicity influences outcomes may be differences in family expectations for children’s education between ethnic communities or school peer effects among students of a particular ethnic origin. A subtle but important form of discrimination may play a role: for students of ethnic groups with weak outcomes, teachers and school administrators may develop low expectations; among ethnic groups whose families display high expectations, teachers may develop very high expectations, which in turn discourage students from other ethnic origins. If ethnic origin does play a role in one generation and ethnic communities tend to congregate geographically in enclaves, then intergenerationally the role of ethnicity is amplified. Furthermore, in the absence of open analysis of ethnic differences, anecdotes prevail. Relative performance of neighbourhood schools is a key factor in parents’ decisions on where to live. Better that such decisions be based on results of objective analysis of schools than on anecdotes, which distort by accentuating the exceptional. 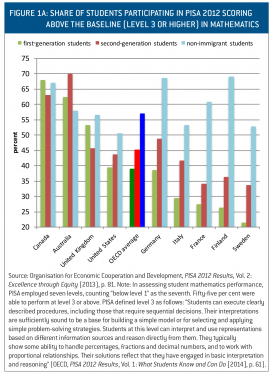 PISA results also show that immigrant education outcomes in Canada (and Australia) are exceptional relative to other OECD countries with large immigrant populations, and that U.S. immigrant student results are mediocre. For each participating country in the 2012 round, PISA divided sampled students into three categories: students born in the relevant country to nonimmigrant parents (nonimmigrant), students born in the relevant country to parents born in another country (second generation) and students who themselves were born in another country (first generation). A good school system seeks both to maximize the share of students performing at high levels, and to minimize the share performing at low levels. Figure 1 illustrates immigrant and nonimmigrant student performance in mathematics for selected countries: the share performing at or above level 3 (Figure 1A) and the share at or below level 1 (Figure 1B). Among the high-immigrant OECD countries illustrated, Canada and Australia enjoy the highest and second-highest share of first-generation students scoring at level 3 or above, and the lowest and second-lowest share of such students performing at level 1 or below. U.S. performance is slightly, but only slightly, better than the overall OECD average. Relative to most countries, Canada and Australia have the crucial advantage of being surrounded by large oceans and having no land border with a low-income country. Hence both countries have been able to impose stringent education and language requirements on legal immigrants, and illegal immigrants are few. For economic immigrants (as opposed to family members or refugees), Canada’s point system places over half of the 100 potential points on two criteria: education level (maximum 25 points) and proficiency in one or both of Canada’s official languages (maximum 28 points).7 The combination of geography and a “points system” is almost certainly the explanation for the fact that immigrant student PISA results in these two countries are as good as those of nonimmigrant students, and in some cases better. The data in Figures 2 and 3 concern young adult first-generation immigrant cohorts aged 20–24 at the time of the 2011 census.8 This is the youngest tabulated cohort for which it is reasonable to expect completion of secondary school. While they are all in the same age cohort, the immigrants’ ages at time of arrival obviously differ. The 1981–1990 arrivals were infants when their parents or guardians reached Canada; the 2006–2011 arrivals came between the ages of 15 and 24. 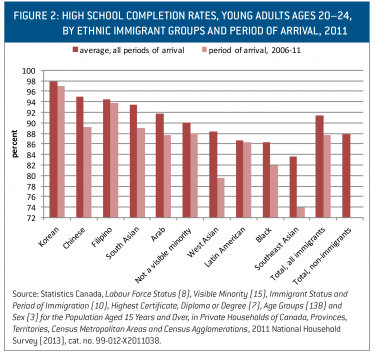 On average young adult immigrants aged 20–24 outperform their Canadian-born counterparts in terms of high school completion (Figure 2). Specific immigrant group completion rates range from 84 per cent to 98 per cent. As Colin Busby and Miles Corak document, there is a late-arrival disadvantage.9 As illustrated in Figure 2, the gap is small among many immigrant groups, but among two groups (Southeast Asians and West Asians) the late-arrival disadvantage is nearly 10 percentage points. Two reasons explain the disadvantage. For students whose families speak neither French nor English as mother tongue, it is much easier to learn a Canadian official language (often by osmosis from other children) when under age 10, which excludes those in the two most recently arrived cohorts. A second reason is that recent arrivals will have undergone most if not all of their primary and secondary education in their country of origin. 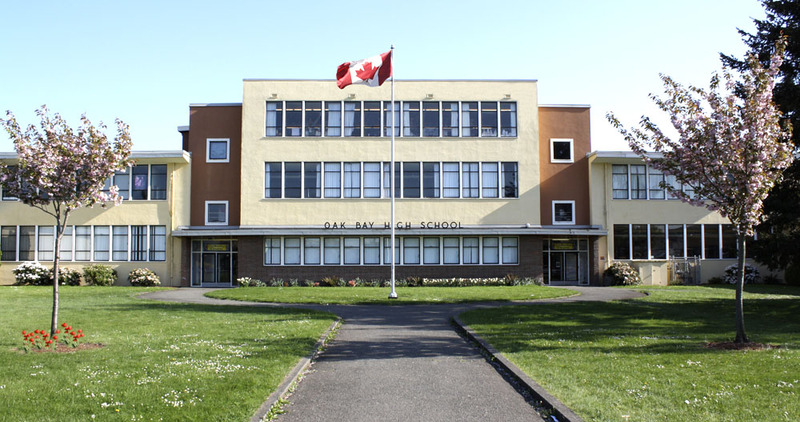 If that training is of considerably lower quality than that in Canadian schools, students may, independently of any language difficulty, face frustration and fail to complete. Figure 3 renders the story more complex. The trend line linking average completion rate to period of arrival displays the late-arrival disadvantage. Admittedly, the trend lines of individual immigrant groups resemble random strings of spaghetti, but they display relevant information. Two groups (Koreans and Filipinos) display consistently superior completion rates with little variation by period of arrival. The potentially worrisome results are among those groups displaying large declines between the pre- and post-2000 periods of arrival. West Asians and Southeast Asians experience a decline in excess of 10 percentage points between cohorts arriving in 1991–2000 and in the most recent period. Completion among the most recent arrivals for these two groups averages below 80 per cent. Chinese immigrant students remain at or above the average for all immigrants, but they too have experienced a large decline in completion rates, of nearly 10 percentage points, between pre- and post-2000 periods of arrival. High school completion is the minimum education level for a Canadian adult to have more than a 50 per cent chance of being employed (as reported in the Canadian census).10 However, jobs available with just high school are typically low-wage and lack security. To realize middle-class Canadian incomes, some form of postsecondary education is typically necessary. The youngest tabulated cohort for which it is reasonable to expect adults to have completed postsecondary education is ages 25–29. The statistics in Figure 4 display the share in this cohort with a bachelor’s or higher university degree, a college diploma or a trades certificate. If we are to flag potential problems, there are three ethnic groups (Latin Americans, blacks and Southeast Asians) whose average postsecondary education completion rates are at least five percentage points below the comparable rate for nonimmigrants. Thiessen defined four sets of variables: indicator variables to distinguish otherwise unspecified aspects of a student belonging to a particular regional ethnic grouping and whether the student is first- or second-generation immigrant; variables describing the family’s socioeconomic condition (parental income, presence of two parents, status of parental occupation, employment status of mother, number of siblings); variables describing relevant aspects of the family’s “culture” (importance of postsecondary education to parents, importance to student peers, student academic effort); and “performance” variables that reflect grades and courses chosen in secondary school. Finnie and Mueller defined similar sets of variables, and in addition added a set of variables to indicate province of residence. Parental education: More education matters. The education impact is particularly powerful if at least one parent possesses a university degree. Family income: It matters, but much less so than parental education. Ethnic origin: As with data used in this article, YITS ethnic origin identification is mostly at the regional level. The overwhelmingly most important ethnic effect reported is the large positive impact on university attendance among Chinese-origin students, both first- and second-generation, even after allowing for all other controls.12 The impact is smaller but there is a positive impact associated with students from other Asian countries. Parental and peer expectations for children’s education: Parental expectations as to the level of education for their children are significant, as are peer student plans for postsecondary education, albeit less so. High school performance: Good high school grades and choice of pre-university courses are extremely powerful indicators of a student’s subsequently pursuing a university degree. The “gold standard” for assessing the impact of any particular factor on education outcomes is a random control trial in which a random sample of students is selected and divided between those who receive a “treatment” (for example, participation in an early childhood education program) and those who do not and thereby can function as “control.” If, at the end of the experimental period, the treatment group performs significantly better or worse than the control, the difference can with little doubt be attributed to the treatment. Obviously, random control trials are not feasible in assessing most factors bearing on children’s education. Instead, rigorous analysis relies on multivariate regressions, controlling for as many potentially relevant factors as possible. Unfortunately, regression analysis cannot eliminate all ambiguities. For example, one of the most powerful variables in the YITS data in terms of its impact on pursuit of a university degree is for the student to have chosen university-preparatory courses in high school. Should this variable be considered a proxy for the student’s ambition and capacity? Or is it better modelled as an outcome determined by parental expectations, which in turn are partially determined by ethnic origin? In a recent study of the geographic distribution of visible minorities (whether born in Canada or abroad) in Montreal, Toronto and Vancouver, Daniel Hiebert documents shifts between the 1996 and 2011 censuses in visible minority share of Census Metropolitan Area population and in share of visible minorities living in “ethnic enclaves.” Shifts in Montreal are modest, but in Toronto and Vancouver they are large (see Figure 5).13 Had the additional post-1996 visible immigrant population spread itself evenly across all census tracts of Vancouver and Toronto, the proportion living in an enclave would have risen by 2011, but the share would be under 25 per cent in each. Had the increase in each census tract been proportional to its 1996 visible minority share, the enclave share would have risen to about 30 per cent. The actual 2011 enclave shares reported by Hiebert imply a heavy concentration of visible minority immigrants choosing to live in neighbourhoods that, already in 1996, contained sizable visible minority communities. To illustrate potential education policy dilemmas, consider the two suburban municipalities in Vancouver in which over half the population are visible minorities and approximately half the neighbourhoods, as defined by Hiebert, are “ethnic enclaves.”14 In Richmond the dominant visible minority is East Asian, in Surrey South Asian. The best comparative education data readily available are from the low-stakes provincewide test (Foundation Skills Assessment or FSA) in three core subjects (numeracy, writing and reading). All provincial students take these tests in Grades 4 and 7, and the provincial education ministry publishes results using three scores.15 For these two school districts, Figure 6 shows school district deviations, at Grades 4 and 7, from the corresponding provincial averages. (Table 1 shows distributions of provincial level results for the two grades.) In general, Richmond scores are above the provincial average; Surrey’s are below. The most dramatic difference between the two school districts arises in the numeracy results. Overall, all but three immigrant groups realize high school completion rates among young adults aged 20–24 above the comparable rate for nonimmigrants – which is reassuring. But Southeast Asians and West Asians display a disturbing trend in that the high school completion rates for both have declined continuously since the 1991–2000 arrivals. Relative to those arriving in 1991–2000, the decline among the most recent arrivals is in excess of 10 percentage points and, for both, the completion rate among the most recent arrivals is below 80 per cent. In addition, there is a clear disadvantage in high school completion among most immigrant children arriving as teenagers. The snapshot of recent student performance in two Vancouver school districts is only suggestive (“two swallows do not a summer make”). However, the large increase in immigrant share of Toronto’s and Vancouver’s population and the dramatic increase in the proportion of visible minorities living in “enclaves” should invite some concern. Will these cities over the next generation generate ethnic-based education inequalities similar to those that have arisen in cosmopolitan U.S. and European cities? 1 Daniel Hiebert, Ethnocultural Minority Enclaves in Montreal, Toronto and Vancouver, IRPP Study 52 (Montreal: Institute for Research on Public Policy, 2015). 2 Peter Stevens and Gary Dworkin, eds., The Palgrave Handbook of Race and Ethnic Inequalities in Education (London, England: Palgrave Macmillan, 2014). 3 For the United States, see Robert Putnam, “E Pluribus Unum: Diversity and Community in the Twenty-first Century,” 2006 Johan Skytte Prize Lecture, Scandinavian Political Studies, Vol. 30, No. 2 (2007); William Julius Wilson, The Truly Disadvantaged: The Inner City, The Underclass and Public Policy, 2nd edition (Cambridge, MA: Harvard University Press, 2012); National Assessment of Education Progress, The Nation’s Report Card: Executive Summary (2015), retrieved here. For Europe, see Paul Collier, Exile: How Migration is Changing Our World (New York: Oxford University Press, 2014). 4 Claudia Goldin and Lawrence Katz, The Race between Education and Technology (Cambridge, MA: Harvard University Press, 2010); Daron Acemoglu and David Autor, “What Does Human Capital Do? A Review of Goldin and Katz’s The Race between Education and Technology,” Journal of Economic Literature, Vol. 50, No. 2 (2012), pp. 426–463. 5 PISA is conducted among students aged 15 in all OECD members, plus others that choose to participate. It is organized in “rounds,” once every three years, among a random sample of secondary school students in a random sample of schools. In the 2015 round, the sample exceeded 500,000 students; the Canadian sample was over 30,000. The emphasis in each round is on one of three core competencies: reading, science and mathematics. In the 2015 round the emphasis was on science. 6 Organisation for Economic Cooperation and Development, PISA 2015 Results: Excellence and Equity in Education (Paris: Author, 2016), p. 19. The U.S. mathematics score is significantly below the OECD average. U.S. reading and science scores do not significantly differ from the OECD average. 7 Canada, Six Selection Factors – Federal Skilled Workers (2015), retrieved here. 8 To generate adequate sample sizes for cross tabulation, Statistics Canada has aggregated immigrant communities into regional groupings. The data discussed are from online tabulations. 9 Colin Busby and Miles Corak, Don’t Forget the Kids: How Immigrant Policy Can Help Immigrants’ Children, E-brief 174 (Toronto: C.D. Howe Institute, 2014). Busby and Corak find the high school incomplete rate as a function of age at arrival assumes a positive slope for immigrant children who arrive above approximately age nine. 10 See my Are We Making Progress? New Evidence on Aboriginal Education Outcomes in Provincial and Reserve Schools, Commentary 408 (Toronto: C.D. Howe Institute, 2014). 11 Ross Finnie and Richard Mueller, Access to Post-Secondary Education in Canada Among First and Second Generation Canadian Immigrants: Raw Differences and Some of the Underlying Factors (2008), retrieved here ; Victor Thiessen, “The Pursuit of Post-Secondary Education: A Comparison of First Nations, African, Asian and European Canadian Youth,” Canadian Review of Sociology, Vol. 46, No. 1 (February 2009), pp. 5–37. 12 Worth noting here is the difference in coefficient values attached to the ethnic indicator variables when the regressions are run with and without adjustment for “cultural” variables such as parental expectations. Without, the ethnic identity coefficients are larger than when the “cultural” variables are included. This implies that the distributions of education expectations of parents and student peers are not random with respect to ethnic origin; they are to some extent colinear. 13 Hiebert, Ethnocultural Minority Enclaves, p. 14. Hiebert defines five neighbourhood categories. In the first, visible minorities comprise below 20 per cent of the local population; in the second, between 20 and 50 per cent. In the third, visible minorities are the majority, but are below 70 per cent. In the fourth and fifth, defined as “enclaves,” visible minorities are over 70 per cent. The difference between these last two categories is that, in the fourth, no particular immigrant group dominates; in the fifth, one group is dominant. The great majority of visible immigrants living in enclaves live in single-ethnicity enclaves. 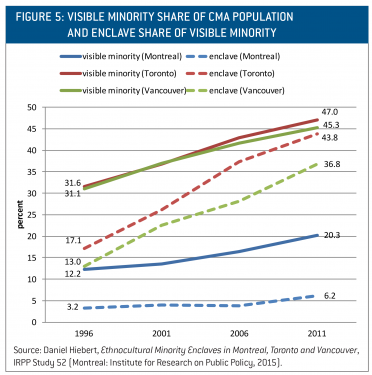 Montreal’s visible minority trend is dramatically different from that in Toronto and Vancouver. The major reason is probably the insistence by the Quebec government since passage of Bill 101 in 1977 that most immigrants enroll their children in French-language schools. The Quebec experience, prior to passage of Bill 101, was that the great majority of nonfrancophone immigrants to Quebec transitioned from their mother tongue to English. As I indicated in Language Matters: Ensuring That the Sugar Not Dissolve in the Coffee, monograph in Canadian Union Papers, Commentary 84 (Toronto: C.D. Howe Institute, 1996), transition to French has increased considerably since the 1980s. 14 According to the National Household Survey (Statistics Canada, NHS Focus on Geography Series , cat. no. 99-010-X2011005), 53 per cent of Surrey’s population and 70 per cent of Richmond’s are visible minorities. In Surrey, 26 per cent of the city’s population identify as South Asian, exactly half the visible minority population. In Richmond, the Chinese comprise 53 per cent of the city’s population, well over half of the visible minority population. 15 British Columbia, Reporting on K–12 (2015), retrieved here and here. 16 Jane Friesen and Brian Krauth, Enclaves, Peer Effects and Student Learning Outcomes in British Columbia (Vancouver: Metropolis British Columbia, Centre of Excellence for Research on Immigration and Diversity, 2008). 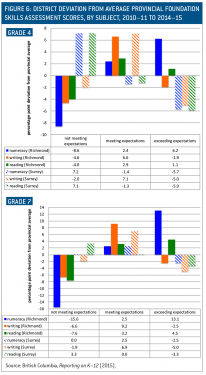 Friesen and Krauth evaluate peer effects in Richmond and Surrey, using a “value added” model of changes in Grade 7 versus Grade 4 results in the provincial core competency test. 17 Angela Rai, Canadian Immigrant Youth and their Academic Performance, Master’s thesis, Simon Fraser University, Vancouver, 2015; Tania Longpré, Québec cherche Québécois pour relation à long terme et plus : comprendre les enjeux de l’immigration (Montreal: Stanké, 2013). 18 Peter O’Neil, “MPs lobby to ease language rules for immigrants.” Vancouver Sun, February 12, 2016. 19 Environics Institute, Focus Canada: Immigration and Multiculturalism (2015), retrieved here.